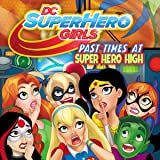 Shea Fontana continues her mega-popular DC SUPER HERO GIRLS series with DC SUPER HERO GIRLS: DATE WITH DISASTER! The girls think they have a day off, when suddenly there is a big explosion over at S.T.A.R. Labs. Not to worry, Batgirl, Wonder Woman, Supergirl, Bumblebee, Ivy, Catwoman and Katana are off to the rescue! 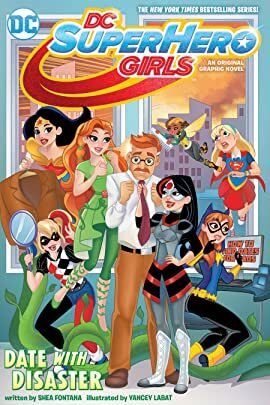 As the heroes work together to save the day, Lois Lane investigates the incident and discovers something fishy. 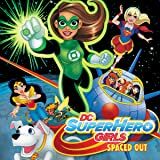 In her search for the truth, Lois must team up with the DC Super Hero Girls to unravel what really happened at S.T.A.R. Labs. Meanwhile, Batgirl takes on a side project: finding a date for her dad! She sets up an online dating profile for Commissioner Gordon and gets the perfect candidate lined up. Can Jim Gordon find love again? Will Lois Lane and the team be able to uncover the truth about the explosion? 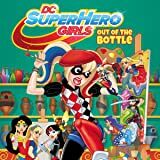 Tune in to find out in DC SUPER HERO GIRLS: DATE WITH DISASTER! 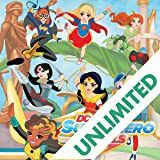 This story continues to develop the relationships forged in DC SUPER HERO GIRLS: FINALS CRISIS, HITS AND MYTHS, SUMMER OLYMPUS, PAST TIMES AT SUPER HERO HIGH and OUT OF THE BOTTLE. 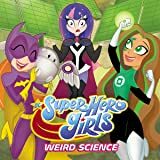 Written by Shea Fontana, this Batgirl-centric story is perfect for girls ages 6-12.